Al Ferris’ life reads a bit like a movie. Start with A Bronx Tale, add in some Tin Cup, a bit of Invincible, and a healthy dose of Forrest Gump and you can see why this 98-year-old resident of Discovery Village at Palm Beach Gardens is one of the most fascinating people you’ll ever meet. Born in the Bronx in 1918, he grew up as the All-American East Coast boy, getting passes at school to go see the New York Giants play baseball at the Polo Grounds. He played high school football and was good enough that his mentor got him a tryout with the other New York Giants in 1938. He made their practice squad until they traveled to Chicago to play the Collegiate All-Star team. Left behind, Ferris headed down the coast to play a game for the Jersey City Giants, who liked him so much they offered him $60/game - about $1,000 in today’s money - to stay on. 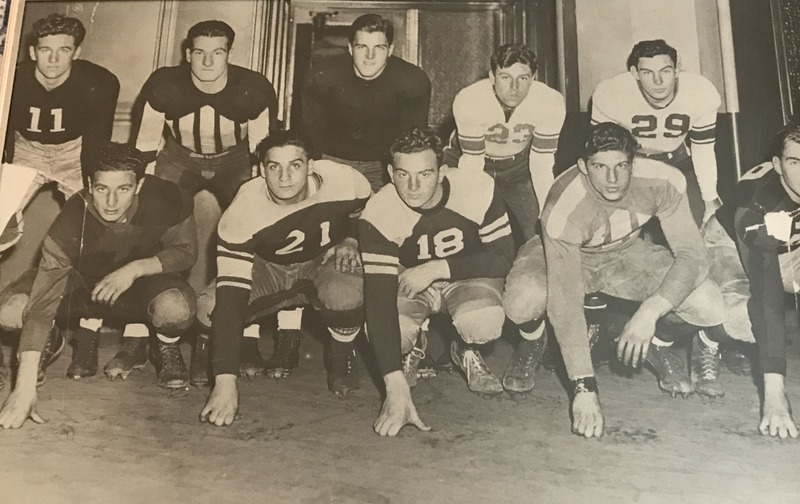 Playing amateur football was quite the life, but it ended quickly when war broke out with the sneak attack by Japan against the US at Pearl Harbor in 1941. Ferris and every other guy he knew were headed to the Army. He was so proficient as a radio operator that the Army had him go to another base to study radar and electronics. He became an expert in short order there as well, and Uncle Sam decided his best use would be as a teacher. “I finally wound up as an instructor in radar flying P17s with students and teaching them how to operate the equipment,” he said. He continued to excel and applied for officer training school. Like everything else in his military career, his intelligence and flexibility paid off, and he was promoted to second lieutenant in 1944. When the war ended, Ferris stayed on as an active reserve and joined the New York City Fire Department at a station in Harlem for five years. It turns out the Army wasn’t done with him, returning him to active duty for the Korean War as well as Vietnam. He eventually became a military intelligence specialist. In all he spent 27 years in the Army, visiting the likes of Berlin, Cairo, and many more cities during his time. He retired in 1969 as a full colonel. He stayed active in sports as well. After the war, Ferris took up playing golf at The Bronx’s Van Cortlandt Park for $2/round. He’s kept up his golf game even now, seven decades later at age 98. Ferris is an original resident of Discovery Village Beach at Palm Gardens. His son tipped him off that it might be a place to check out. It’s a decision Ferris has never regretted. By 1970, Harriet Strongin was a 45-year-old pioneer. She was not only a published author, but also a college professor for the New York State University system, one of just a sprinkling of women in higher education at that time. Along with co-author Melvin Morgenstein penned two textbooks in all: Modern Retailing: Principles and Practices and Modern Retailing: Management Principles and Practices. Her authorship did not stop there. She and Morgenstein also published a research paper called “A study of student dropouts from vocationally oriented business programs at Nassau Community College” in 1970, and she was one of four co-authors on a paper entitled “Nassau Community College and the Drug Problem” the following year. Born in New York City at the end of 1925, Strongin fell in love and married an officer in the US Marine Corps who survived World War II. Her success as a professor drew her back to the city where she joined a distribution club known as Distributive Education in New York State. She was there just as several big department stores like Sears were starting to take off. Drawing on her years of experience, Strongin wrote of the foundational principles and laws of the organization. Her marriage produced two children, a host of grandchildren and a whopping nine great-grandchildren. She believes her education has allowed her to provide insight into the lives of those who have come after her, and made it a point to raise her children to watch out for their own. When she traveled for work, she found herself loving the warmer climates of the southern United States. 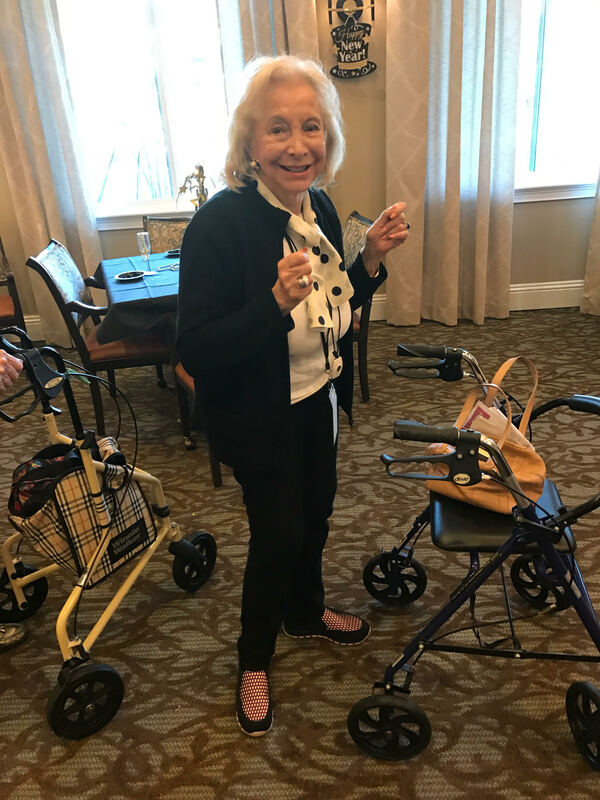 Strongin’s husband passed away when he was 77; a few years after that she decided it was time to treat herself to a change of scenery and made her first connection with Discovery Village at Palm Beach. “The weather here, right now, it’s lovely,” she says, quite an understatement given the average high temperature in January in Garden City is 40 degrees Fahrenheit, about 35 degrees cooler than in Palm Beach. Strongin has nothing but praise for the facility.